The Groupon Connector is an adaptor which links Linnworks with your Groupon Account. It transfers your new orders from Groupon into Linnworks, and updates Groupon when those orders are dispatched in Linnworks, including the tracking number. Please note, there is no inventory mapping tool in the Groupon connector. Products must be mapped in Linnworks.net either by individually linking unassigned items in the Linnworks order book or by bulk mapping with a CSV spreadsheet imported into Linnworks.net and selecting ‘stock item linking’ type when importing data. When importing by bulk, it is advised for users to test with one product listing before carrying out the bulk mapping. To use Groupon channel, you must first install it from within Linnworks.net. Select Add New to return a list of available Channel Integrations. Locate Groupon on the list, and click on Integrate. 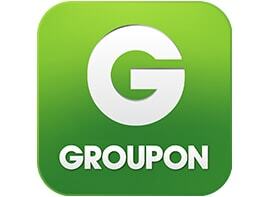 Enter your Groupon account name to start the actual integration. And then click on next button for the next step. After reading the Disclaimer, please tick ‘I agree to the terms and conditions’ and Next to continue integrating Groupon. Please copy and paste these into the Groupon integration API Settings. To complete the integration, please click on Finish. Your Groupon integration should now show in Linnworks.Net -> Channel Integrations. Here use can match Linnworks Postal Service name with Groupon Postal Service name. In Linnworks .Net, select Settings. Locate the Groupon entry, and look to the right. Click on the Configuration button. Locate the Location Mapping button, and click on it. This opens the Location Mapping window. The first option is the Order Download location. This is initially Default, but can be changed. Click on the dropdown list and select which inventory/fulfillment location will initially receive the orders from this Groupon integration. Under Inventory Sync Locations, you control which Linnworks Inventory locations are used to calculate the Available Stock values for your Groupon listings. If you have only the Default location, this can be ignored, with Default left enabled. you don’t want to be included in the stock numbers on the listings. Click Save when you have finished updating Linnworks. You should also click Save at the bottom of the configuration window to apply any changes. To Enable or Disable the Account, locate the Account section. If the Enabled option is not ticked, the channel will not download or update orders, or provide inventory level updates. The Test button allows you to confirm there are no errors preventing Linnworks and Groupon communicating. Contact EBG Support if Test Reports any errors. In the Listings section, the information reflects the information Linnworks currently has about your listed items on the Groupon marketplace. This section reflects activities affecting the Linnworks Order Sync on your Groupon channel integration. Linnworks downloads orders from Groupon with the status shipping in Progress. In the Order section, there are 2 options. Despatch Notes, when enabled, allows Linnworks to send information about orders that have been processed in Linnworks. Orders that are processed in Linnworks are updated to the status Shipped on Groupon. The Order Sync Date reflects the date and time of the last successful order download and update for the current Groupon channel integration. These settings are used to enable Linnworks and your Groupon account to connect, and are covered in Step 1. Linnworks.net uses the Mapping Tool to ensure that it knows which SKUs in its inventory are connected to which listings on Groupon. As such, you should ensure that all of your listings are mapped correctly so orders picked accurately. After mapping of column we can upload all file data to linnworks. This uploaded products displayed on Linnworks Groupon Channel Mapping Screen. Click the button in the top left hand corner with a gear on it. Linnworks will map all those listings that have a SKU which matches a SKU in the Linnworks Inventory. Check the Linked and Unlinked values once this is complete. Use the left hand list and Search to find the listing to be linked. Click on it to highlight and select it. In the right hand list, use the Search box to find the correct Linnworks Inventory item to link it to. Click on the Link button beside it with the listing highlighted. Repeat for other listings to be linked manually. A new item will be created in the Linnworks inventory using the Name, Price and stock level, as well as the SKU from the listing. This will be linked to the SKU. This can be updated with other information later in the Inventory. Repeat this for other Listings that have no Linnworks inventory equivalent. The Dashboard is where the user will see their Groupon orders transferred into Linnworks. Users can then work with these orders in the Open Order screen. If any orders do not appear in the Groupon Dashboard or Linnworks, the user can press ‘Check Groupon Orders’ to manually request those orders be imported, showing the ‘Check Order Status’ window. To import product select SubSource from the dropdown. Then Choose a CSV file you want to import and Click on “Column Mapping” button. 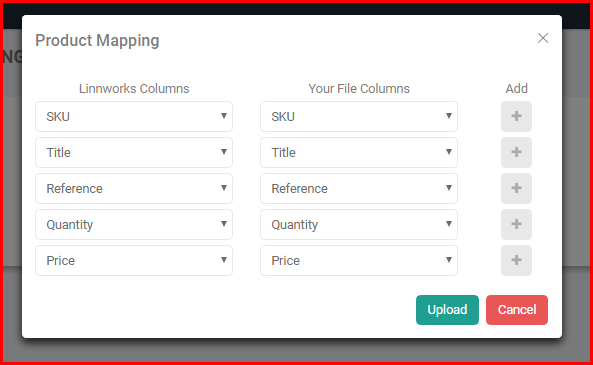 Map your file’s Columns against the Linnworks Columns and click on Upload. This enables you to map Groupon Postal Services to Linnworks Postal Services, so the Order process to Groupon with mapped Groupon service. To avoid problems, ensure ALL Groupon Postal Services that you use are mapped. Select SubSource to begin this process. Click To add Mapping. Select each Groupon Postal Service in turn, and map it to an equivalent Linnworks Postal Service. And click on Save. Select SubSource to get failed processed orders and you will be able to see Tracking Number, Shipping method, Dispatch error and you can Process by edit tracking Number or shipping method. List of Groupon orders which is exported to Linnworks, if in case you don’t find anyone order from list, select order and click on Create button. Order will Created in linnworks in next linnworks sync. List of Groupon Order which Processed from Linnworks and Dispatched to Groupon. If incase it is not Dispatched to Groupon select Order and click on Process button, Order will Dispatch to Groupon. Display Payment Invoice. You can download it. 1. Why can’t my shipping labels for Groupon print? 2. How do I print without tracking numbers showing on the labels? This can be discussed with Linnworks Support. 3. Why aren’t the orders going to my desired specific location? Orders are imported to the Default location, unless you have a script in place to re-allocate them. eBusiness Guru can offer scripting services. 4. What Countries does the Groupon connector currently work with? Austria, Belgium, Finland, France, Germany, Spain, India, Ireland, Italy, The Netherlands, Norway, Portugal, Sweden, and the United Kingdom. 5. Where are my invoices? Invoices are located on the Invoice tab of the Groupon Connector Dashboard. You will be able to download any invoices that are ready from here.